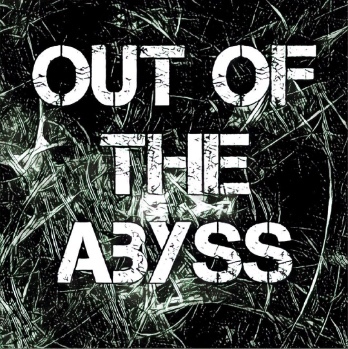 The Out of the Abyss GUIDE index is here ! Derendil the Quaggoth, easy to angry but noble at heart. In my story the other players like Derendil a lot, he’s become an important part of the team, it started because at first he had so much more HP that the rest of them so he was a great element in battle. But the story of the elf prince trapped in the monster body was appealing to the rest of the guys. When they reached Blingdenstone, they had a access to a greater restoration spell which didn’t do anything. I had some backstory for Derendil too. He was always mentioning things about his past. He mentioned his younger brother, his sister who was a great mage and his father the king. Nelrindenvane, his kingdom. He was always describing this place and its typical food and everything. He said that as soon as they got out to the surface the first thing they should do is go there, they would be received as kings. And his sister would be able to fix his problem, such a great mage she was. The problem was that the kingdom and its location. None of the party had ever heard of these places. So they were wondering if they were real. Still they loved Derendil for what he was. In Blingdenstone there was an encounter with a ghost which had the cleric and Derendil age 30 years. He was now elderly and was not nearly as effective in fights. It was sad that they couldn’t reverse the aging, but he had faith in his sister, if he were restored to his elvish self, 30 years would be nothing. When they got out of the underdark, they had a perilous fight with Orcus. They ran but Derendil lost his life, he was revivified and after that they started his journey to Nelrindenvane. Derendil was amazed at the brightness of the sun, he said he didn’t remembered it to be so bright and intense. Finally they got to a port and took a ferry to the island were Nelrindenvane was. By this time they had realized that that name was just an old elvish form of an elf kingdom that they knew about. In the port and in the island, Derendil found some old friends, who didn’t recognize him, but after a few questions came to realize that it was really him. They were let into the castle and were received by Derendil’s father and sister who asked him lots of questions to make sure it was him. Questions about his childhood and about things he would only know. She asked him about some childhood secrets that were known to only them. And Derendil proved it was really him. So she took him to her wizardry tower to try to find a cure. The PC’s were left to have dinner alone and after that were confronted by the king and a handsome other elf. They demanded to know who was the quaggoth and how he had gotten all that information. They were scared and deranged and difficult to talk with. After some arguing they were told that the handsome elf with the king was Prince Derendil, who had never left the kingdom. They were crazy about this underground monster who knew everything about the prince’s life. The PC’s didn’t know what to say, and at first reacted denying everything, even this so called Prince Derendil. Then the princess came to the room, the mage. She had been analyzing “Derendil” the quaggoth and realized that it was the Fearzness, in a weird turn of events, that had replicated Prince Derendil’s consciousness in the Quaggoth. They had identical memories up to the last few months, which the real Derendil lived in his castle, and the second Derendil had lived with the PC’s in the underdark. At this point the PC’s AND the players were mentally numb. They didn’t know wat to say or what to do. They had been expecting some type of fraud, like Nelrindenvane never existing or something like that, but they really never saw this coming. The PC’s tried to confort him, saying that he was the real Derendil to them, as they had come to love him for what he is (or was) and that they would find a way to make things better for him. He asked to be left alone to think. The rest of them were given quarters in the castle, the next day they would leave. They found Derendil in his room hanging from a chandelier. Not able to cope with the facts, he had taken his own life. They took the body and parted, the druid in the group had to go with the druid order, to see the greatest of his kin, a giant awakened tree who was itself the most powerful druid. A month later they arrived. The druid, together with the tree, performed a reincarnation ritual on Derendil and he came back to life as an elf. In the afterlife he had meditated a lot about his own existence and decided that he would find in the material world what was the purpose of his life. He pondered about using a new name, as his own was nothing but an illusion. The PC’s would have none of it, they assured him that he was Derendil till the end. He stayed in the druid’s forest for months and was taught some of the druid’s way. So they came back to the under dark with the new “Derendil” who was never again referred to, as a prince. For whatever direction of fate. Derendil died more times in the underdark adventures. By the time they got to the Maze Engine sequence, he had been brought back from death 7 times. 2 of them through reincarnation. The maze engine absorbed all of their magic items and tossed them to Mechanus. They traveled there, where they were eventually confronted by a Marut, this inevitable was there to tell them that they had altered the natural flow of things, he said that Derendil should never had existed, the universe had been trying to erase him, and that their continuous bringing him back to life was a serious transgression to the order of things. They destroyed this creature but before it exploded it told them that this was just the beginning. So this is our Derendil story. It’s the most important arch in our adventure because of the love they feel for him, all the things that they have been through together and all. They have come to realize that even though Derendil is something that was never supposed to be. It has become a type of force, his own will has been given form, and no matter how many times he’s been destroyed, this will, whose name is “Derendil” keeps coming back to give a meaning to its life. This was fantastic! I ran Derendil as the book presented and had him to berserk in the mushroom kingdom. Now that I’m running OotA again with a group that doesn’t treat Derendil like an attack dog, I’ll unabashedly steal elements of your story. Thanks for sharing. Glad you liked it !!! You’re welcome to use it. BTW I will soon write posts about the different chapters in OoTa and a specific about Derendil and other side ideas that we used in our game. Holy crap. This is awesome gave me the chills. I’m soo using this in the OotA campaign I’m starting up next month. Thanks ! Glad you liked it. You’re welcome to use it. Check the rest of the guide out. I just posted chapter number 4. Thanks again. what a beautifull twist for derendil’s story, brilliant! with your permission i’ll use it in my campaign. Permission granted Miguel! Have fun running it in your game and thanks for visiting my site. 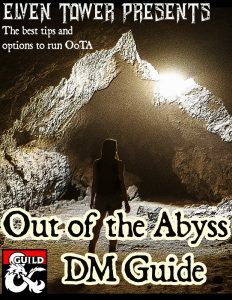 I’m a player in our current OotA game and a long-time GM since first edition. In our game, we also formed an attachment to Derendil – who turned out to have been telling the truth and was, in face, an ancient (4000 yr old) prince from a continent lost to Abeir. He is still with the party, now as a Sun Elf, and is even engaged to one of the PCs who showed her support for Derendil from the start and believed his story long before the party traveled to Abeir to remove his curse. He’s become a very complex NPC in our game and we love everything the GM has done with him. Derendil is like family to our barbarian, who calls him “brother” now. I’m happy to see we’re not the only ones who found Derendil so compelling we couldn’t part with him. I find it heartwarming to hear your happy Derendil story. I’m glad.